Prep time is less than 5 minutes! 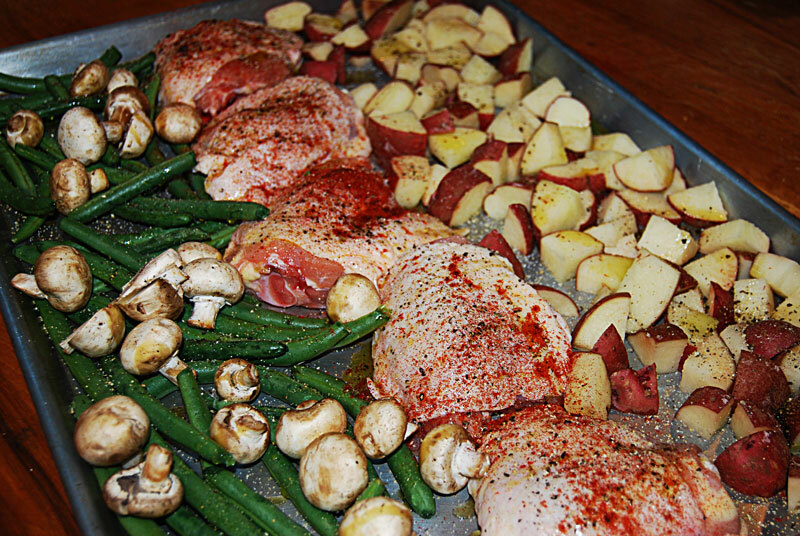 Arrange chicken, potatoes and veggies on a large sheet pan. Drizzle it all with olive oil. Season everyting with salt, pepper and garlic powder. Season just the chicken with paprika. Cook at 375 F for 45 minutes. 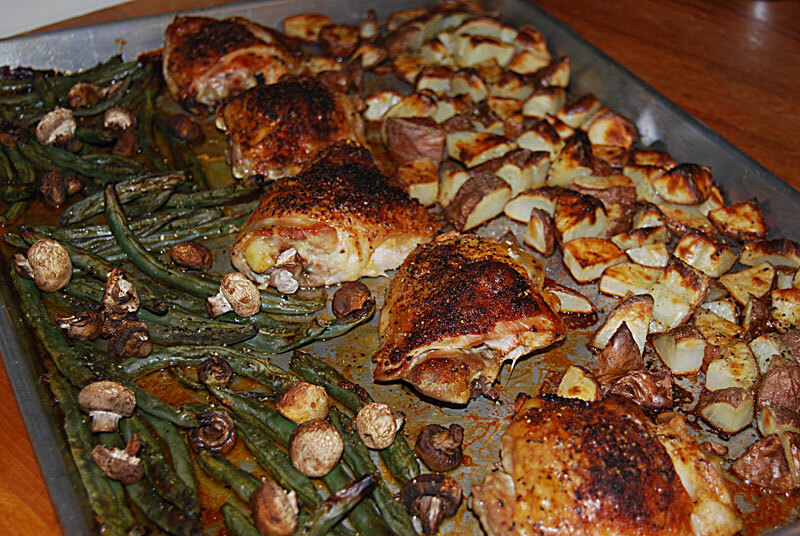 Great family meal — to keep it low carb for myself, I just skip the taters.